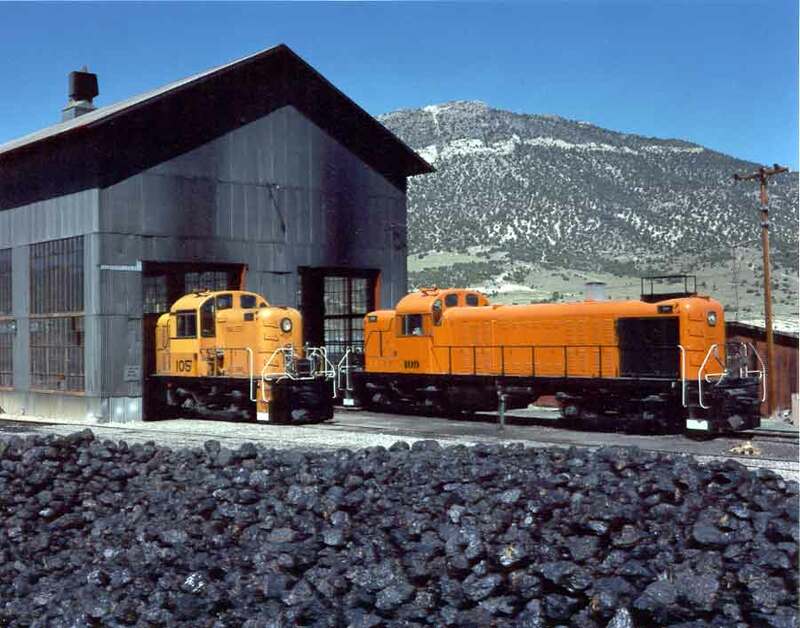 Forty-nine structures, three steam locomotives, six diesel locomotives, one steam crane, one steam rotary snowplow, six passenger cars, fifty freight cars, and about thirty miles of track; these are components that make up the Nevada Northern Railway Museum. Then there are the 7,200 passengers that rode with us last year and another 12,000 that stopped by and toured the museum grounds. Fold into that, a trip to the Olympics that showcased the Nevada Northern Railway, White Pine County and Ely on a world stage and its quite the "little" railroad that we have here. As we gear up for the new season, I thought I would take time to review what the Museum has been doing over the winter. It may appear quiet, but work is going on behind the scenes. Work has continued on Coach 5 this past winter and it too will be ready for operation for this season, thanks to a lot of hard work. Starting with our first ever Polar Express Train last December 6th and 7th this new event was a success and is on the schedule for 2003. We started this year with the annual photo special. In the letter we sent out, we warned the weather can change from shirtsleeve weather to snow and it did. Friday was sixty-five degrees and Sunday it was twenty-eight degrees with snow. The photographers loved it. As a side note, there is a prestigious Railfan show called Winter Rail. This is where railfans display their photographic talents. The winning picture this year, you guessed it, a shot of 93 with the ore train out on the highline. The photographs of the Nevada Northern Railway consistently placed in the top three places year after year. Our national advertising is out. The Nevada Northern Railway advertisement is the inside cover and facing page in the 2003 Guide to Tourist Railroads. We were the inside cover in Railfan and Railroad and Classic Trains, both national publications. Smaller ads appeared in the May and June issue of Trains magazine. And we were the cover photo on the Trains "Tourist Railroad Directory." To continue the publicity, we were recently featured on Las Vegas television and in the May/June issue of Nevada magazine. All of this advanced publicity has raised the public's awareness of what Ely and White Pine County has to offer. This has lead to an increase in ticket reservations and engine rentals for 2003 and our season has not started yet. The most exciting news, though, is Coach 5 will be back in service this year. Al and Chris, our engine house staff, with some help from the Heber Valley Railroad have done a great job in making the repairs to Coach 5. At 106-years-old, it's not the oldest piece on the property, but to some it's the most beautiful. Coupler work is almost done, and then the trucks are put under the car, some minor repairs to the inside, and its back in service. Repairs to ALCO RS-2 105 have also been completed this past winter. Now 105 will be joining 109 in service this year. What does this mean? We will be one of the few places in the world where a RS-2 and RS-3 will work together to pull a train. What makes this even more exciting from a railfan perspective is that these locomotives are original to our railroad. This might not seem earth shattering to you but believe me, there are people who will literally come from around the world to visit us and see this unique display of first generation diesel power. As they use to say on the old westerns, "No brag, just fact." In addition, Rex and Joel are re-siding one of the original American Car and Foundry boxcars. What makes this an exciting project is that they are just doing the outside and not touching the inside. Because on the inside are the original chalk marks identifying different Nevada Northern Railway stations. And some of these spellings are quite unique and the have been there for over 90 years! This type of mundane history is what sets the Nevada Northern Railway in a class by itself. In a summer past 105 & 109 get ready to start the day. This timeless picture will be repeated in 2003 now that 105 is back in service. We are not glitzy, sanitized, or pretty. The Nevada Northern is the way it was and it is world class, right here in Ely.